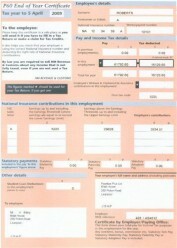 You will still receive your items in the post if you select ’email my order’. 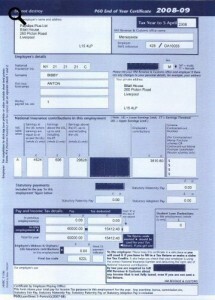 You will still receive your items in the post if you select ‘fax my order’. 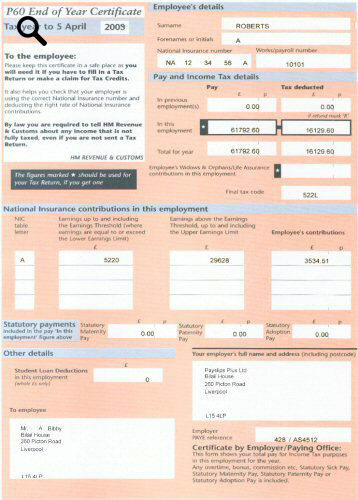 These P60's are printed on a laser printer to the highest quality and will show: Total Pay and Deductions, Total National Insurace Contributions, Employers Name ans Address, Your Name, Your Address and National Insurance Number. 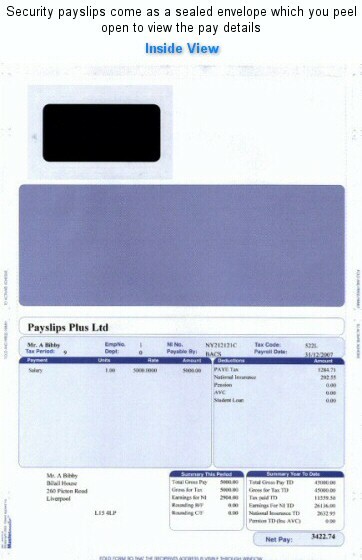 These payslips are laser printed to the highest quality and will show all the necessary pay and deductions, company name, your name and national insurance number. 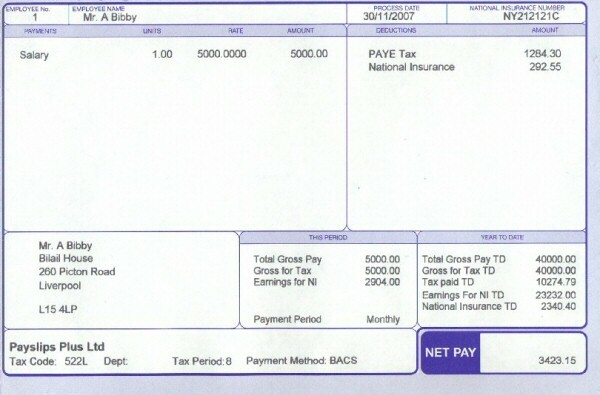 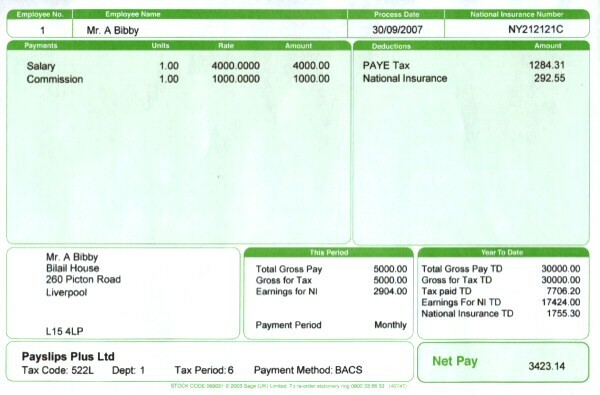 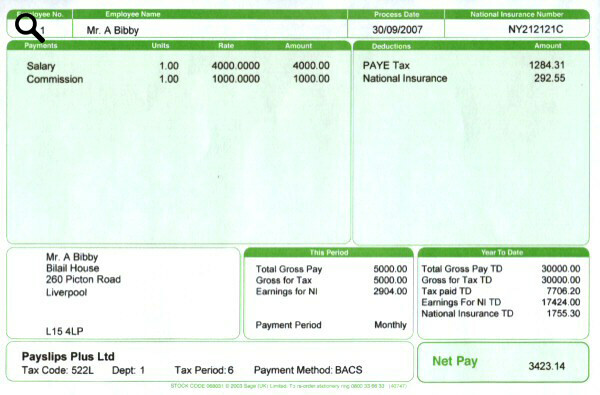 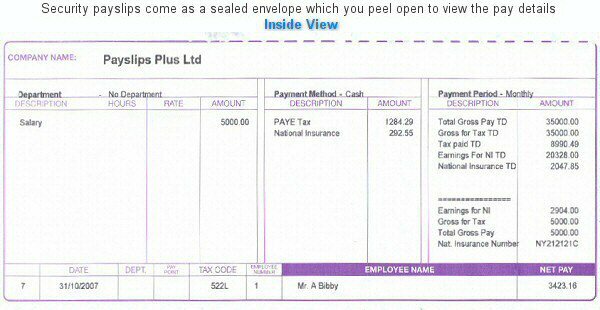 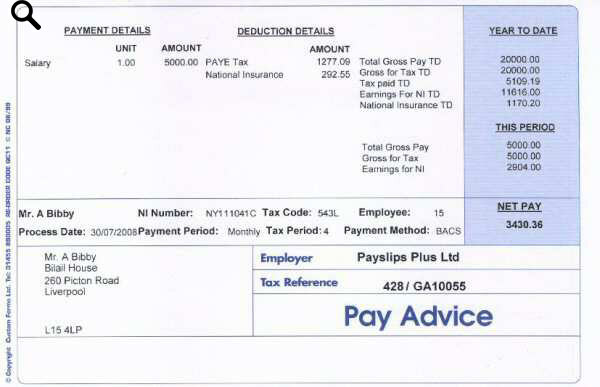 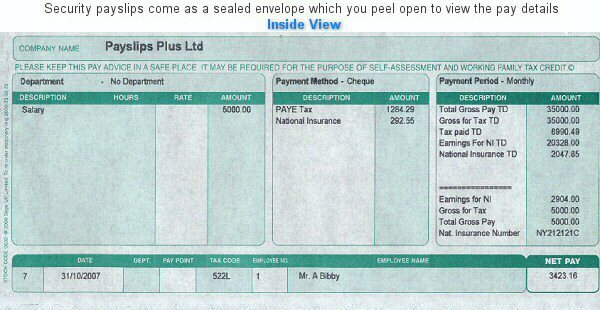 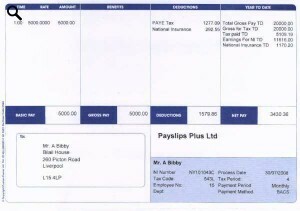 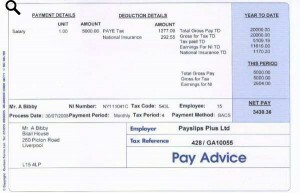 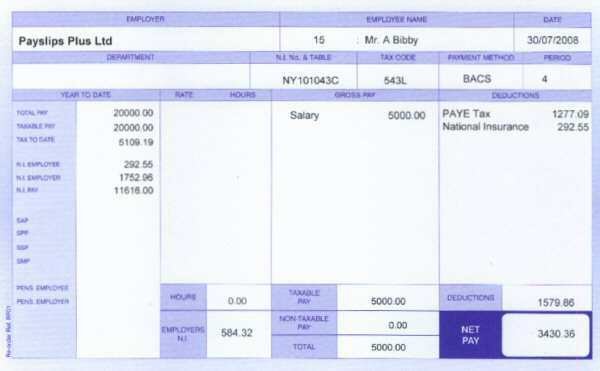 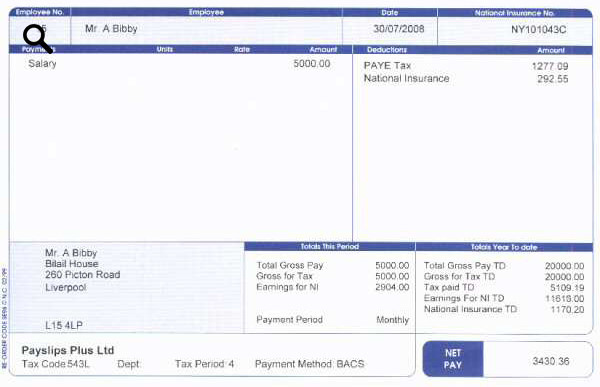 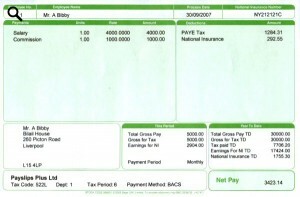 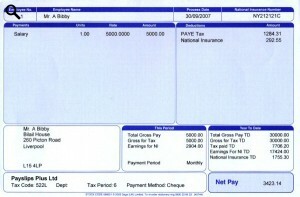 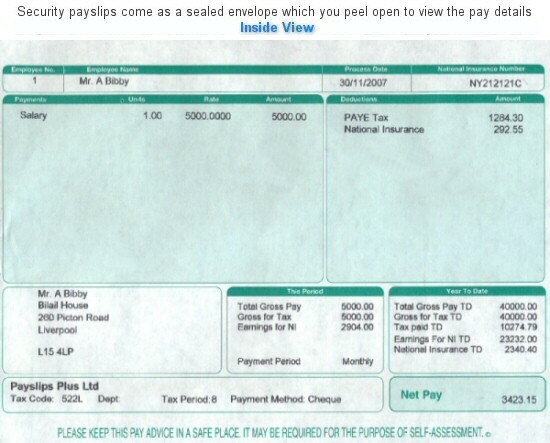 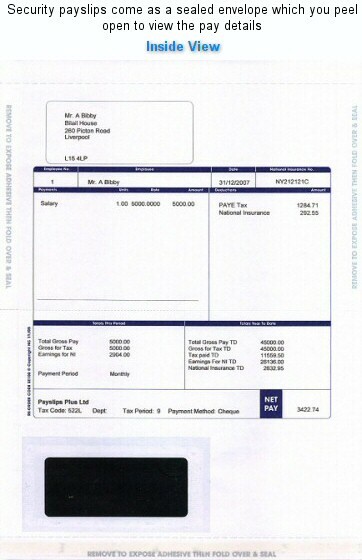 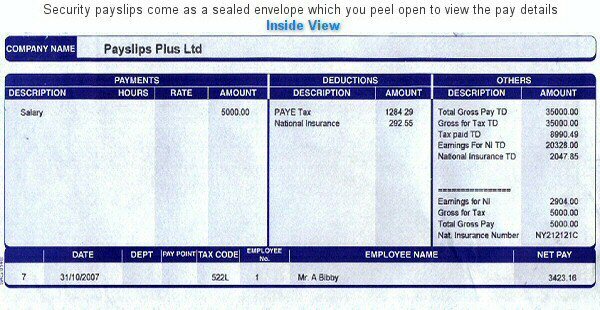 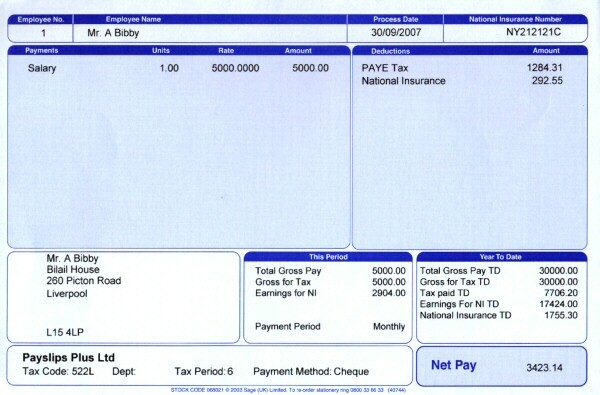 These payslips are printed on a dot matrix printer to the highest quality and will show all the necessary pay and deductions, company name, your name and national insurance number. 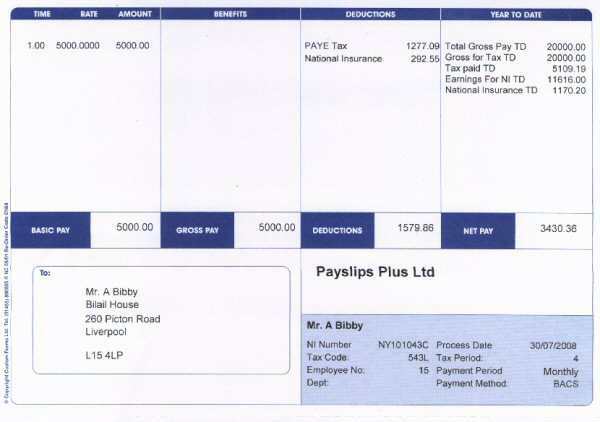 These payslips are printed on a dot matrix printer to the highest quality and will show all the necessary pay and deductions, company name, your name, your address and national insurance number. 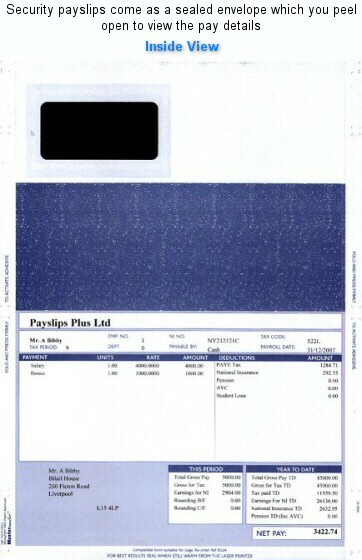 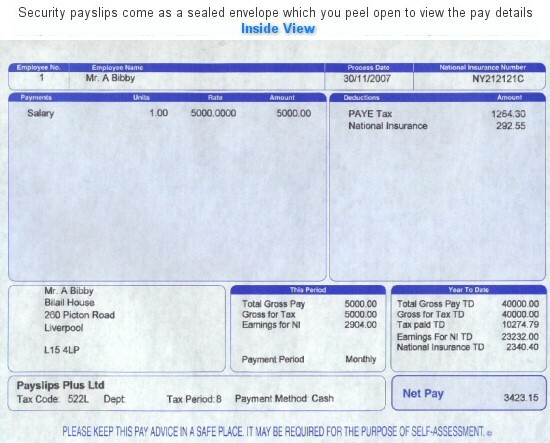 These premium payslips are printed on a laser printer to the highest quality and will show all the necessary pay and deductions, company name, your name, your address and national insurance number. The P60 is printed on a laser printer to the highest quality, it is a year end form which contains your earnings, tax and national insurance details for the full tax year. 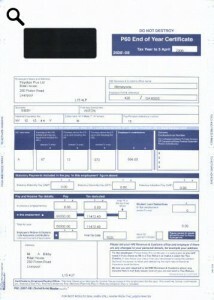 Standard Blue P60s are available in both portrait and landscape formats. Other P60s are only available in portrait format.